She Loves Data was born out of the belief that women have many talents, virtues and value to bring to the table when it comes to data, technology, and analytics. Our goal is to inspire more women to pursue careers in Data & Tech and build a community where like-minded women can come together to learn, connect and have fun! “Thanks for organising this highly-interactive workshop where we got a quick dip into the world of data analytics, visualisation, and coding in a non-threatening learning environment. In particular, kudos to the passionate instructors - they were brilliant at explaining alien and geeky concepts in the most down-to-earth and relatable manner. Definitely one of the most accessible workshops on this topic ever! Highly recommended. “. Volunteer with She Loves Data and help us build our community and organise amazing events! 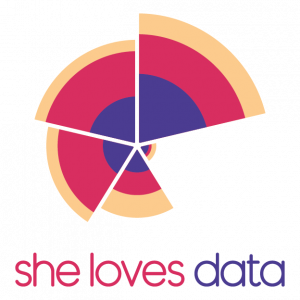 Join She Loves Data as an instructor and help us teach many more women about data! Start your local She Loves Data Chapter and build your local DataTribe!